JACKSON, Miss. — Senator Elizabeth Warren, the Massachusetts Democrat who has based her presidential bid on trying to outpace rivals with robust policy proposals, added more ideas to her liberal agenda on Monday night: getting rid of the Electoral College, removing Confederate statues, and creating a national commission to study reparations for black Americans. Ms. Warren’s remarks came during an hourlong CNN town hall at Jackson State University, a historically black college in the capital of the deeply Republican state. 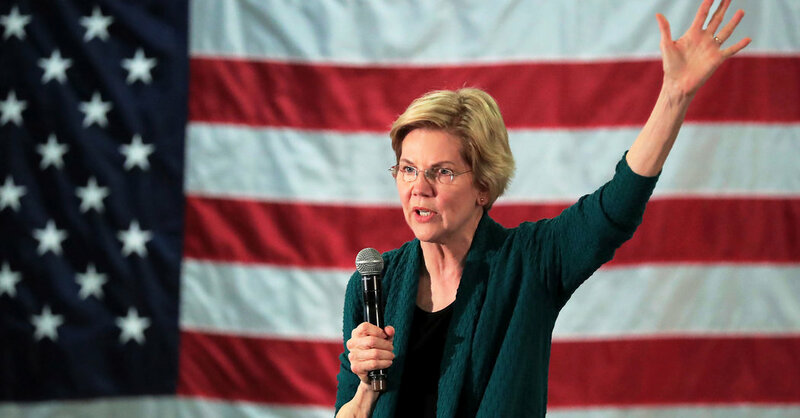 While reiterating her familiar positions on regulating corporations and upending Washington lobbying, Ms. Warren also sought to present new ideas to a national audience that is still getting to know her. She then noted that most presidential candidates never campaign in Mississippi or her home state of Massachusetts during a general election because those are not battleground states in the Electoral College. Many Democrats have become sharp critics of the Electoral College after Al Gore in 2000 and Hillary Clinton in 2016 won the national popular vote but lost the Electoral College vote, and therefore the presidency. “Every vote matters, and the way we can make that happen is that we can have national voting, and that means get rid of the Electoral College,” Ms. Warren said, drawing one of her longest ovations of the night. Ms. Warren also used the forum to present herself as a candidate who understands racial inequities. Speaking to a racially diverse audience, she called for Confederate commemoration statues and monuments to come down and be moved to museums. Ms. Warren was also asked if Mississippi should adopt a new state flag that no longer has the Confederate battle flag emblem.